This little Cuski, called Fizzy is brand new and already making waves! 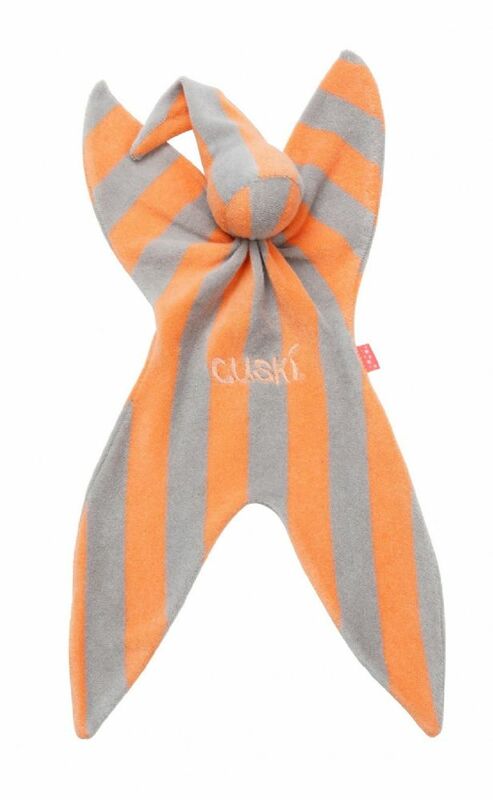 Beautiful trendy bright orange & grey stripes, and the first Cuski to sport our cool neon label. Fizzy will be sure to give out lots of cuddles and comfort your little one to sleep! Beautifully soft and a big hit with my little boy :) This is out 4th Cuski, always need plenty of spares! Love the new colour. Lovely new design, my son loves his new Fizzy he won't even let me wash it! !